I made it to the Blueberry patch for a second time this summer. The kids most have had too much the first time because I still have some in my fridge from a week ago. 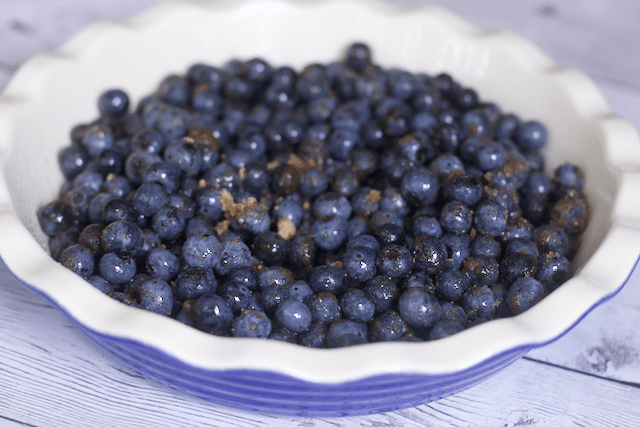 We were having some guests over so I thought I would go outside the box and try this Blueberry Salsa Recipe. 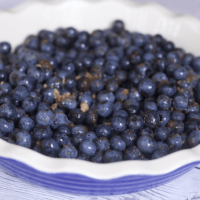 However, I took a recipe suggestion from some friends who went picking with us the first time for this Blueberry Salsa Recipe. I know it sounds kinda of strange, I mean Peach salsa you see on the shelves but I have never seen blueberry salsa. I looked at the one my friends made and loved and saw another one that had more of the ingredients I had on hand. This one does not have tomato so it is truly a blueberry dish. I made a full batch of this salsa recipe and 4 of us finished it off. It is a taste you have never experienced but wants you going back for more. I served it with tortilla chips and it was just the perfect compliment. It asks for chopped blueberries; I started using a potato masher. I quickly realized I was making a ugly mess of skin and mush so I cut them, not an easy task but the hardest part of this recipe. In a bowl, combine chopped and whole blueberries, jalepeno pepper, onion, red pepper, lime juice, and salt. This looks delicious, can’t wait til all the fresh fruits and veggies are in this summer. I will be making this. Thanks for recipe.